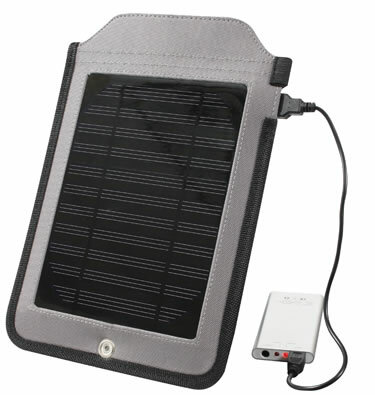 A solar panel to keep in your emergency kit. You can charge up your cell phone, recharge a laptop, or other electronic devices. Many new phones come with a cable that connects your phone to your computer via USB. Although there are several adapters that come with this set, if you have the USB cable that came with your phone, you should place it in the storage area so it will be with you when you need it. This way, you will be able to connect directly to the panel and directly to your phone's unique input. If your phone requires specific voltage for charging, then you use the Smart Power Box and it will correctly charge your phone. This solar panel can be attached to the outside of your pack so that it can be charging a device or the lithium-ion battery while you are moving. When you get to where you are going, you will have a full charge.